Cruel Optimism by Lawrence English; Ensen by Emel. Lawrence English – shocking, but in a good way. by Lawrence English (Room40, RM470, CD, LP and digital). This is a shocking recording and it’s meant to be. Not in the sense that it’s shockingly bad – it’s not – but shocking in the sense that the Australian composer and sound artist Lawrence English has mustered his considerable sonic firepower to call us to wake up – politically, socially, ecologically – before it’s too late. In the appalling advent of a Trump presidency, English’s clarion call is one of many sounded throughout the world, every one of them necessary. Cruel Optimism takes its title from a book by the philosopher Lauren Berlant, who theorizes how human attachment to utopic fantasies of the good life have a deleterious political effect. Her argument is complex but it is, in essence, an analysis of power: what it is, who has it, how it can be seen through. For English, Cruel Optimism is a 10-track protest against the ‘threat of abhorrent futures’ that face us. 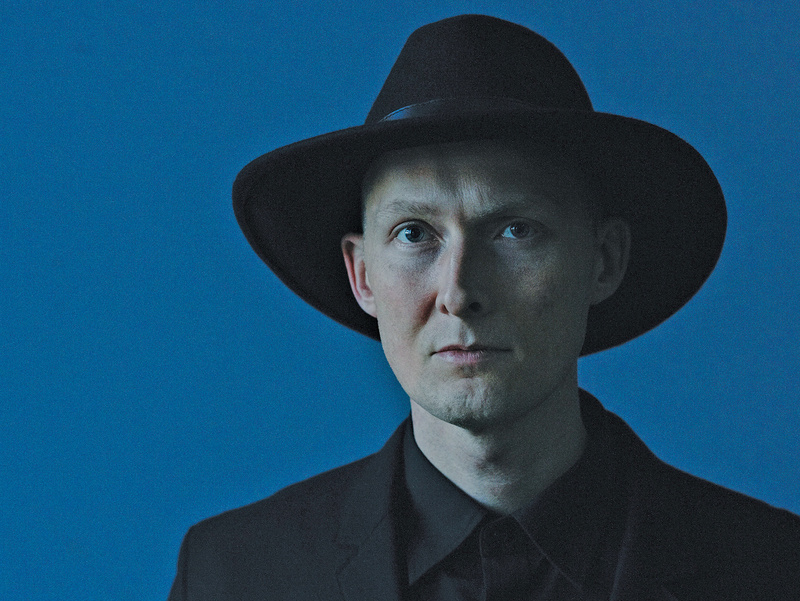 English has one foot in sonic ecology – that branch of art where sound installations and (sometimes) music meet – and another foot in experimental jazz and the wilder recesses of art rock. This produces a rich seam of all kinds of instruments and voices digitally rendered into a cloud of slowly moving composed sound. It’s awe inspiring and a little frightening. But then so is the future. Tunisia’s Emel – attracting considerable – and unwanted – attention. The Tunisian singer-songwriter Emel Mathlouthi first sprang to prominence on the international stage soon after 2011’s Jasmine revolution, when her protest songs – especially ‘Kelmti Horra’ (‘My Word Is Free’) – were enthusiastically adopted as anthems by the crowds demanding change. However, by 2011 Emel was already in France as songs such as ‘Ya Tounes Ta Meskina’ (‘Poor Tunisia’) had earned her considerable – and unwanted – attention. Ensen (‘Human’ in Arabic) is Emel’s second album after the crowd-pleasing Kelmti Horra. 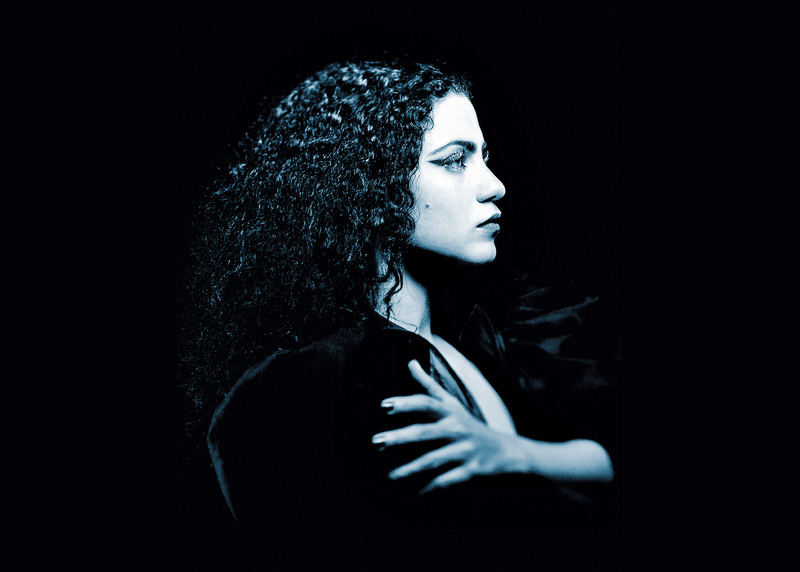 Recorded in numerous countries, it’s an album that makes clear that Emel is still taking risks, though the leaps of daring here are perhaps more musically orientated. Flowing between two different soundworlds, Ensen captures the best of both. Tunisian lutes, bendir drums and zukra (flutes) sound alongside electronic beats and soundscapes generated by producers Amine Metani and Sigur Rós’s Valgeir Sigurðsson. The supple presence of Emel makes a bridge between these worlds, navigating the twists and moods. There’s real drama in songs such as ‘Kaddesh’ (‘How Many?’), a work that addresses political destruction, and ‘Lost’, the latter sung partially in English. ‘Ensen Dhaif’ (‘Human, Helpless Human’), half mountain trance music, half scratchy electronica, offers a hard gaze at the world. Recorded with plenty of sonic space around the voice, Emel’s vocal lines are statuesque and dignified, soaring above the clever collisions of the music itself. Deeply impressive.